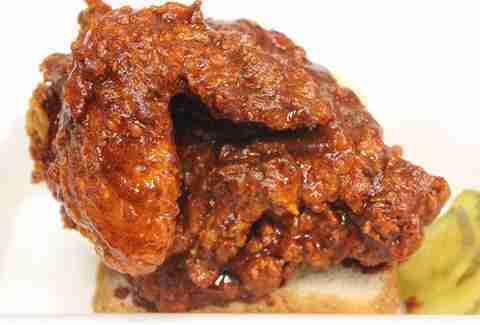 No reasonable discussion of the hot chicken scene can be entered into without paying due deference to Prince's. 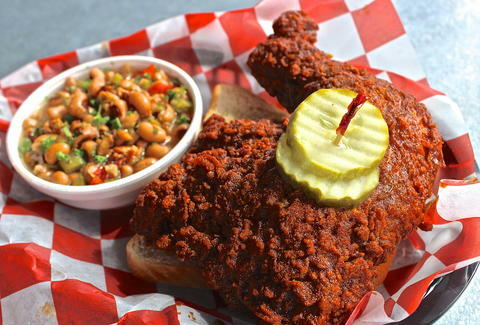 Way back when, they set the bar for the hot chicken scene and allowed others to ride its coattails. Order it medium, and you'll get a barely manageable heat. Ask for it hot and you'll get "crying-from-your-eyes-and-nostrils-and-other-orifices" heat. Order extra hot and your tongue will curl up in the corner, and pray for death's swift, sweet kiss. The one big hold-up with Prince's is the unbearable wait; it can be hours, and we're not exaggerating, as the small establishment cooks each dish to order. If you've got time to kill, it's your place. If you're on a schedule, you'd be better off looking elsewhere. 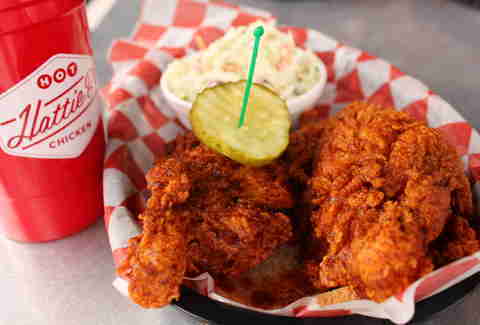 A current frontrunner among Nashville's hot chicken establishments, this tourist-friendly spot is located in the middle of town and, while it is indeed small inside, it won't keep you waiting around all day (ahem, Prince's, we're looking at you). 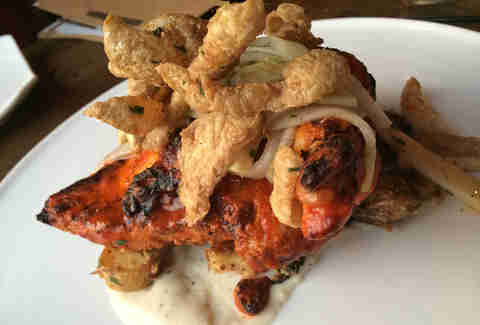 The ambiance is pleasant, the location is central, the staff gets a fist bump from us, and the chicken is juicy and excellent (though not quite the level of spice as others on this list). The names (Shut the Cluck Up, etc.) and the sides (like the pimento mac & cheese) are just the non-literal icing on the cake. 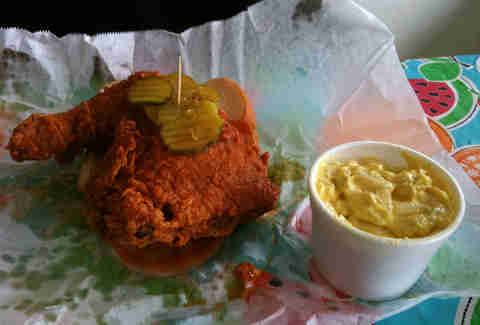 Out for a date/business lunch/business date, and don't want to soil your freshly laundered shirt with hot chicken juice? Bolton's famous chicken-on-a-stick is a safe, skewered, and thankfully delicious alternative. 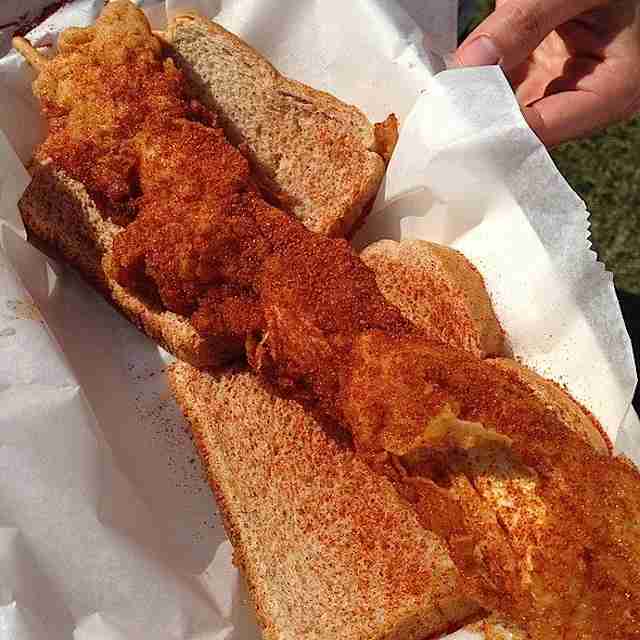 Plus, if you're a pescetarian for some reason, you can scratch that hot chicken itch via whiting, grouper, catfish, or tilapia. 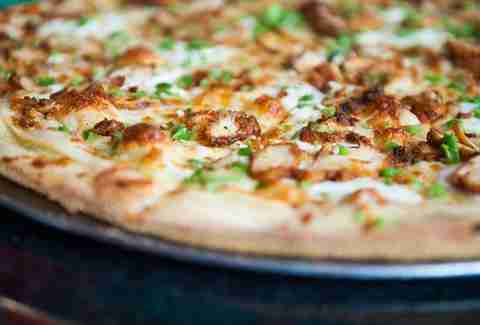 The first Southern outpost of the New York City pizza chain debuted in Nashville in 2013, and right out of the gate, "The Kitty" was a solid favorite. A white pie topped with hot chicken procured from neighbor Hattie B's, jalapeños, and blue cheese, how could it not be great? 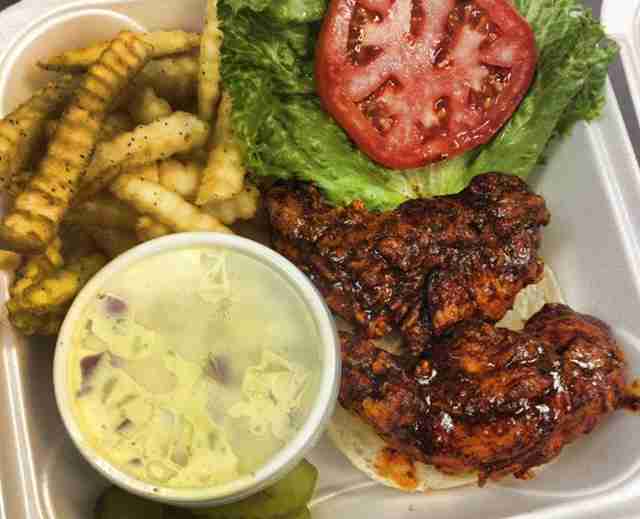 Offering a great mix of flavors (like pepper and cumin) and a respectable level of heat, Pepperfire is beloved by locals, but not as known among the tourists coming to town in hopes of a hot chicken fix. For those with strong constitutions, Pepperfire's got five heat levels, ranging all the way up to XXtra Hot, and it can all be enjoyed on their covered patio. While this farm-to-table favorite serves up a mix of contemporary Southern fare -- try the deviled eggs with chow chow while you're there -- Chef Trey Cioccia's baked hot chicken in a candied skin over a bed of biscuit puree is a must for those looking to ease into the stuff. It's not too hot, not too mild, but rather somewhere in the middle, making it one of The Farm House's most ordered specialties. The number refers to the level of heat the chicken packs. 100 degrees is the "wuss" version, 200 is respectable, 300 is mouth-numbing, and 400 is... well, stop by and see for yourself. 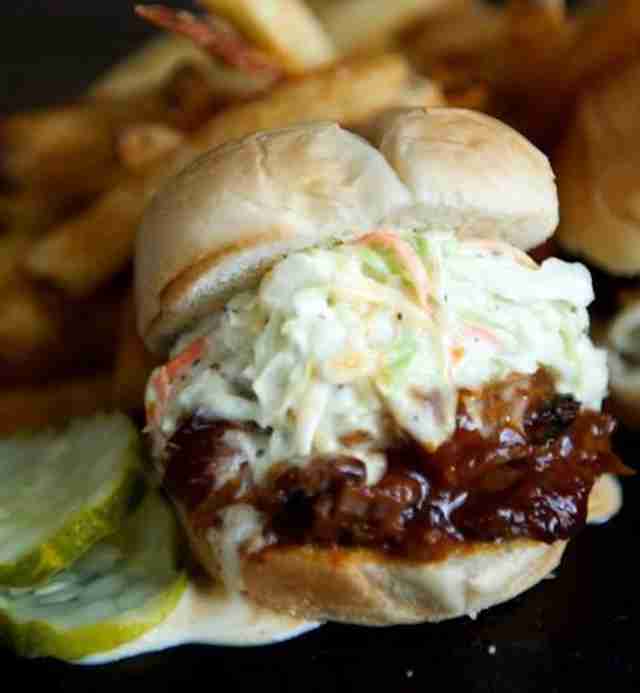 Unfortunately, it's located inside a food court, but don't let that fool you; it's fantastic. Owner and notable restaurateur Tom Morales hit a home run with his previous concepts -- The Southern Steak & Oyster and Saffire down in Franklin -- not to mention the Loveless Café, for which he's a partner, and we've got our eye on this new spot overlooking the riverfront at 1st Ave and Broadway. Acme's still brand-new, but if you're wandering Lower Broad and have a hankering for poultry, try the Acme Hot Chicken Sandwich with green peppercorn aioli, American cheese, and pickles, served true American-style between two slabs of white bread.